The Chicago Bears know they’ll need a stroke of good fortune to land some quality players in the 2019 NFL draft. Due to their trades for Khalil Mack and Anthony Miller last year, they are left without 1st or 2nd round picks. This means they must hold out hope that some quality talents slip to the 3rd round for them to add to their already impressive roster. GM Ryan Pace has shown time and again he has an eye for good players later in a draft. The substantial success of names like Jordan Howard, Tarik Cohen, and Eddie Jackson prove that much. He no doubt believes that he can continue such a streak with help from his scouting staff and front office. So are there any possible names he could have an eye on? Based on what Lance Zierlein of NFL.com is saying, there’s likely one name that has caught Pace’s attention. His name is Brian Burns out of Florida State. Why? 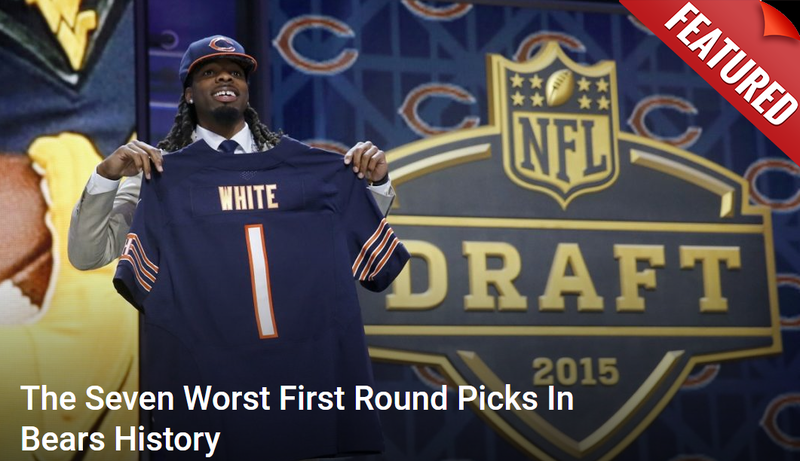 Zierlein compared him directly to Bears outside linebacker Leonard Floyd. It’s obvious how Burns compares to Floyd. The parallels stick out quite a bit from the unique athleticism to the body type and natural speed. However, there is a reason to believe why he may actually be more appealing to the Bears despite the concerns about his lack of power. He’s far more proven as a college pass rusher than Floyd was. During his run at Georgia, Floyd never had more than 6.5 sacks in any one season. Burns had 8.5 his freshman year and then 10 during his final season at Florida State. It’s apparent he’s far more proven in his ability to get to the quarterback. His frame also looks like it might retain mass a bit better than Floyd’s has. The big question is will Burns last to the 3rd round? There’s reason for doubt. Pass rushers are always in high demand. Even with the concerns about strength, Floyd still went in the 1st round. If Burns does well at the scouting combine, the odds favor him following that same trajectory. Still, the possibility is there at least. If he’s on the board, the Bears have every reason to pounce given their lack of depth at outside linebacker.